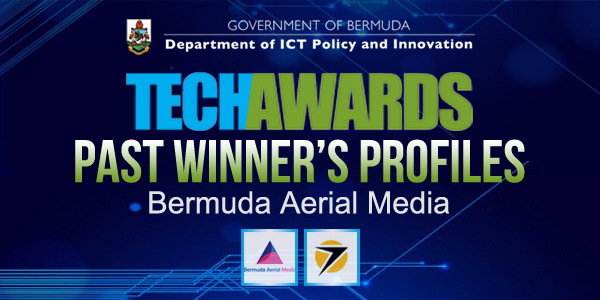 Bermuda Aerial Media won the Local Market Innovation of the Year 2013. The company launched in Bermuda that year by partners Connor Burns and EJ Burrows was the first to be granted an Aerial Work Certificate [AWC] to conduct operations with their remote-controlled helicopters for filming aerial photography. These two young engineers impressed the judges with their hi-tech drone helicopters and their potential for use in the agriculture industry. They went on to be the first Bermuda entrants in the International Future Agro Challenge [FAC] at Industry Disruptors in Athens. And their Bermuda Aerial Media and subsidiary firm Skymatics took the top prize and $7,000 in funding over a field of ten other entrants from around the world. E.J. had moved to Calgary, Alberta, Canada, to run Skymantics, Bermuda Aerial’s sister company promoting the business to the agricultural, oil and gas, real estate construction and other industries. There the two Bermudians again made history after launching the first sanctioned commercial drone flight in the Canadian province. They have continued to develop applications for use in these industries and have recently been nominated for Product of the Year by Tecterra, a Canadian non-profit organisation that assists small Alberta companies with the use of geomatics technology. The product in question was SkyClaim, software designed to help farmers and insurance companies to better assess crop insurance claims — and to help speed up the process using drone data. Skymatics has grown strongly from its Bermuda roots and now has clients in 46 countries. It offers drone data services for use in activities including agriculture, construction, emergency response and surveying. To nominate your top technology innovation, go to techawards.bm before the 26th of October. - Nominations for the 2018 TechAwards close on October 26, with the awards to be presented on November 1.